There are a list of restaurants and cuisines available, which the user can simply search on the search tab of the website rather than scrolling through clueless. Every single payment which is made on the website by the user is made secure, this is achieved by secure payment gateways. A new user can use the referral code and share the app with their friends and when the friend installs the app and uses the referral code there is an amount which gets added to the wallet. There are users who like their meal to be made in certain and in that aspect the restaurant will follow the instructions and ensure the meal are prepared just the way the users would like to have it. The users can add any number of items to the cart before they plan to check out to make the payment for the food. A pickup request will be sent to the driver from the restaurant, they can head to the restaurant and pick up the delivery package and head towards the users location. The driver will be sent with the information of the user for the location where the ordered meal has to be delivered using FoodGo App. If there is any confusion in the direction for the restaurant or the user’s location, the driver can simply navigate with the help of the map. The driver has the option to stay online or offline at their convenience, in order to receive the pick up request they should be in online. The information on the profile of the driver can be modified according to their preference and updated. Displays the information of the jobs. It has the pickup and delivery location, time and other such related informations. When it comes to restaurants there are multiple cuisines and they can be added and segregated into different categories, like starters, main course etc. The restaurants can track the status of the received, processed, current, completed orders and manage through website and mobile application using FoodGo App. There is an automatic dispatch system made available for the restaurants, once the meal is ready for dispatch and delivery, the auto-dispatch system will be enabled and request will be sent to the drivers. The driver will pick up the meal from the restaurant and from there on it can be tracked constantly until it reaches the final destination with FoodGo App. 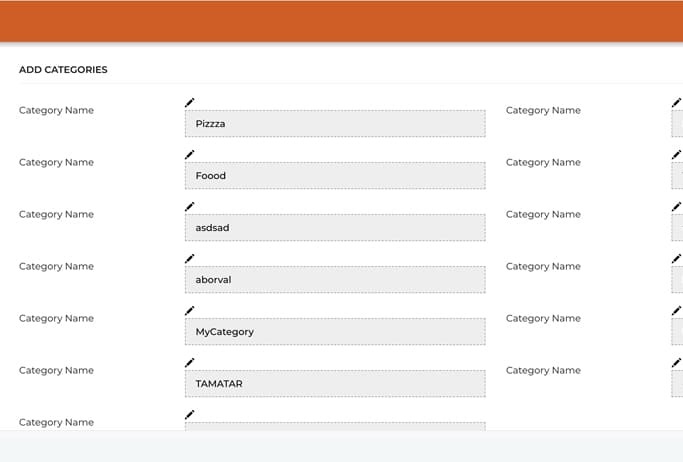 A restaurant can choose a category and add the food, combo-offers, and add-ons in FoodGo. The restaurant can go offline or online, the restaurant will receive the order request when it is online. The users cannot book the food when the restaurant app is offline. 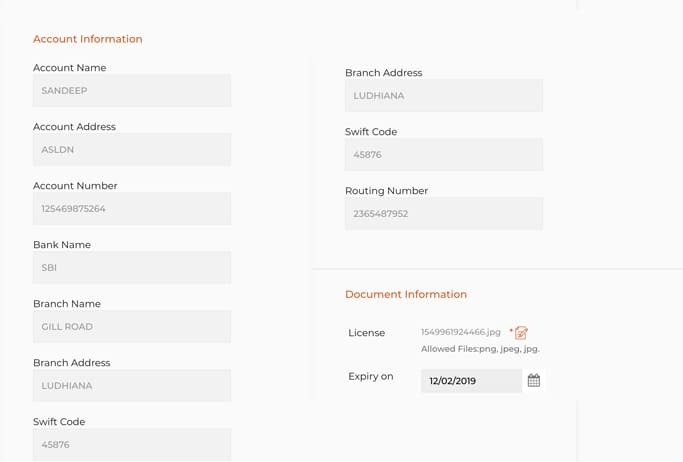 The admin can view, add, edit or delete any restaurant from the list at their conveyance with Foodpanda Clone App. Admin of the website can manage the website by making the necessary and required modification like currency change, time zone, price, and SEO as well. The Admin has the options to send promo offers as coupon codes via push notifications, SMS, e-mails, etc. Using this promo codes user can get a discount on their orders. Now a day online application plays an important role and mainly the food ordering application is one of them. In recent time the people order their food through online to save their time. In that Foodpanda is one of the food ordering applications which is more popular than the other application. FoodGo app is one of the convenient online food ordering websites which connects the people with 1000 of local restaurants. The customers can look through the abundant menus and place the orders for delivery or takeaway at the best cost. At Foodpanda service, they believe that the ordering food online should be trouble-free, fast and certainly fun. FoodGo offers that the user with the restaurant menus, users’ reviews and more for over forty thousand restaurants spread over 40 cities. After placing the order of the user, then the order will send directly to the nearby restaurant and they start the work immediately to deliver the order of the user. The user has the option that they can search the restaurant by the location and the user has the option to insert the area and postcode to search. The user has the choice to choose the restaurant by own choice. The payment method is easy in this application and therefore, the payment is done through both card and cash method. The user the option that they made online or cash on delivery and the user can choose the conventional method using our Food App. Ordering through the application is made easy and the service is available of 24*7 which helps the users in a better way. When comparing to the other application the ordering is made easy here. This site and the application are available for 24*7 with the specification to pre-order. The user can plan the meal ahead from the best restaurants which are near to them and can avoid the rush hours to save the time using FoodGo App. The user can browse more than forty thousand restaurant menus at free of cost. The application accepts all the major credits cards as well as the Paytm wallet method or if they can prefer to pay cash on cash on delivery and this option is also added. The application will work by doing some simple things by just entering the postcode; then the user can choose which the restaurants is nearby them and which food item they need to order. The user can view all the restaurants in their area or they can select the favorite food by their choice. Once the users have placed the order and they can choose the method of payment, FoodGo application will do the remaining of the work for the user. How to log in by using the application? 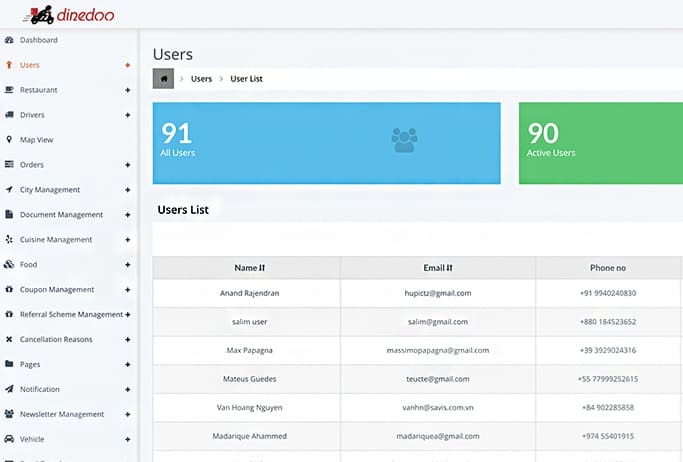 The user can login by using a simple method and they can sign-up by providing the basic details of their own and the login is full of free-cost. Once the registration is over the user have the authority to enter into the site and they are allowed order the food which they needed from the nearby area. The classical model of the FoodGo app or website looks like this and the customers can place the orders over the mobile phone with restaurants which are nearby them and just wait for a restaurant to deliver the cuisine to their doorstep. In recent days the people are busy with their work and no one has the time to visit the restaurant and they hate to wait in the queue. So that most of the people prefer online food system and they feel this is an easy one. By this online method, they can save the time. This is one of the main advantages of the online method. The other advantage is the time that the restaurant will close at the certain time, but by using the application they can order at any time. At the same time, the user can easily test various placements of the dishes in the menu list, setup daily by providing or manage the items with the limited availability. Willing to start any online start-ups? The recent focus on the convenience has made the strong demand for the web-based and the mobile-based food delivery services. Customers are shifting from the classical phone-based food ordering services to the online services that grant them to order a large variety of food from many restaurants all within the one application or the website. These on-demand delivery platforms also provide the ratings and reviews of the restaurants which help the user and grant the customers to pay the orders with a single tap on their mobile phones and tablets. In current days everyone has the aim is to start the business. In that food, ordering is one of the top most businesses when compared to other business. Cuisine startups in the on-demand economy have an easy psychological request and they promise to buy the time and save the effort. Here we provide the FoodGo application which helps to start your own business. FoodGo is an app which is nothing but clone script of Foodpanda application. Here we provide the clone script along the demo videos and this will help you understand the application. We provide the clone script kit which includes the customer and client app. This script has the lot of features which is more than the original script and there are given below. FoodGo application provides the powerful features to give the best experience to the user and some of the most important features are given below. Authorize restaurant owner to handle their restaurant pages on the site by own. Our FoodGo script brings various dealers capabilities so that you don’t have to hire a big crew to create the website changes. This is one of the most important features which help your business in better and simple way. The user can search the various restaurant by using the location and they can search more than three thousand restaurants at free of cost and they can search by using the reviews and feedback which is given by the previous customer. This feature added advantages to the application. The user can easily find the nearby restaurants by using map location. They have the simple add buttons to select the food from the menu list. The app provides easy order management system. The user can check out the page for the order outlined. The profile setup is easy in this method and delivery address in a simple method. The sign-in is easy that the user can provide the basic details or they have other option by login through the social media app like Facebook and so on to save their time. This is one easy search option that the user can filter like food, the price of the food, delivery options and so on. This can save the time to the user. Seller owns the right to add the coupons to the specific item or the types and even for the shop too. The users can also the option to apply that coupon code during check out their order by using the particular app to use the offer. The restaurant owner can use the offer over the specific items or the types on the menu which is listed in the app or site, even to their shop owners. Users can see the offer which is provided by the restaurant owner on the specific items or the types in the restaurant menu page with providing a various tag. Users can see the restaurant or the shop available time to place their food orders. Sellers can recall the available time for new or special food items in their menu list for the placement of the order. 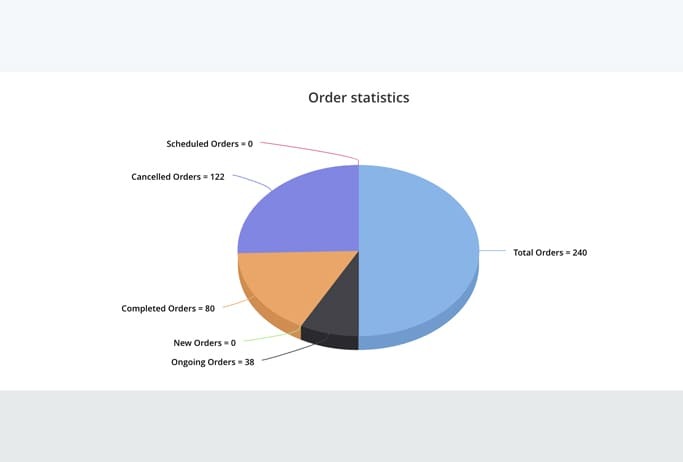 The users can the option to mention their available time before to their on-time delivery of the order. This is one among the trendiest feature which is used practice to avoid the delivery delays. The users can also have the option to check the reviews or the feedback over the restaurant or the shop or the seller and they can also have the authority write their reviews or the feedback on the seller and restaurant or the shop. The user can choose their convenient location from the FoodGo app list to receive their delivery of the orders. The delivery location can be chosen only by the user during the checking out the orders to the payment. Therefore by using the features, you can improve your features. Our team can support you during and after the installation of the clone and you can contact us for the further clarification regarding the FoodGo script. So if you are dreaming to make the business in big level, then this is the time to take the action and we will help you in a better way.